As Thanksgiving approaches, along with Black Friday and Cyber Monday, the spirit of giving thanks is being spread throughout a variety of mediums. Holiday ads are up and people are slowly getting into the holiday vibe, starting with Thanksgiving. However tempting it is to lose ourselves in this crucial time in the world of advertising and marketing, I think we marketers shouldn’t lose our appreciation for what we have and gratitude for our blessings: our customers. This isn’t asking for feedback (although do that too, keep reading! ), invite your customers to share their ideas for your products and services and how they would improve how you do what you do? It says that you think think of your customers as smart and capable, and that their ideas are just as important as your own product developers’. This isn’t new, smart brands have been open to exchanging ideas with their customers online since blogs first became a thing. Dell is the prime example of asking for their customers’ ideas after a pretty harsh introduction to the world of networked consumer feedback. 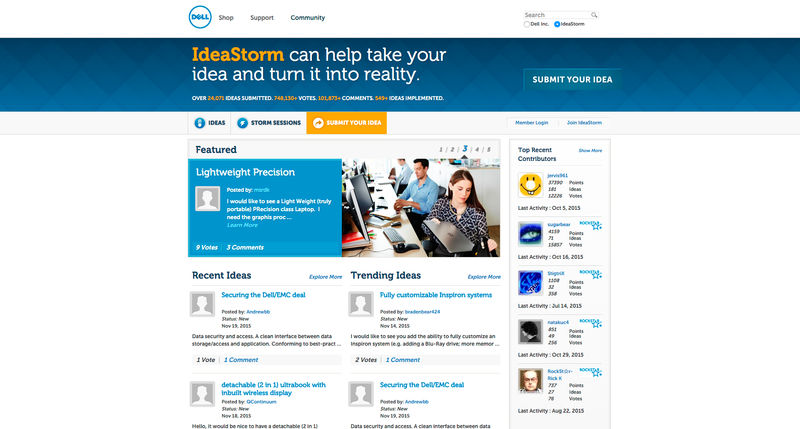 They created the “Idea Storm”, and asked consumers to discuss new features or products they’d like to see from the manufacturer. Consumers could vote for their favorites, or comment to elaborate upon others’ ideas with their own two cents. There are many more ways to thank customers than a discount here or there. Deeper, emotional interaction, especially trusting their opinion is far more valuable than the biggest discount you could give them. Nothing says “We appreciate you”, quite like going out of your way to make every experience better than the previous one. Using your brand, show your customers that you care about their experience. Ask them to share their thoughts of what they think of you– both good things, as well as bad. Were they satisfied with their interaction with you? If not, why not? What could you do next time to improve their experience? You can use your brand to deepen your connection with your clients. Letting consumers know when you’ve followed their advice is a great way to initiate that depth. Rubbermaid made serious alterations on one of their sink mats based on negative reviews. They sent out a new mat to every person who left a negative review, as well as a note thanking them for their feedback. Customers were delighted, and even left amazing reviews following Rubbermaid’s gracious gesture. By using criticism to motivate your product’s improvement, you’ll end up with a lot of satisfied customers. The biggest reward you can give your customers is one that makes them feel the absolute best. Let your customers know about new products before they are released to the public. By sharing “insider information”, it makes your customers feel special, as though you’ve let them in on a big secret. This doesn’t necessarily have to consist of discounts, usually the mere opportunity to shop before everyone else will do the trick. These experiences can be created offline, as well. 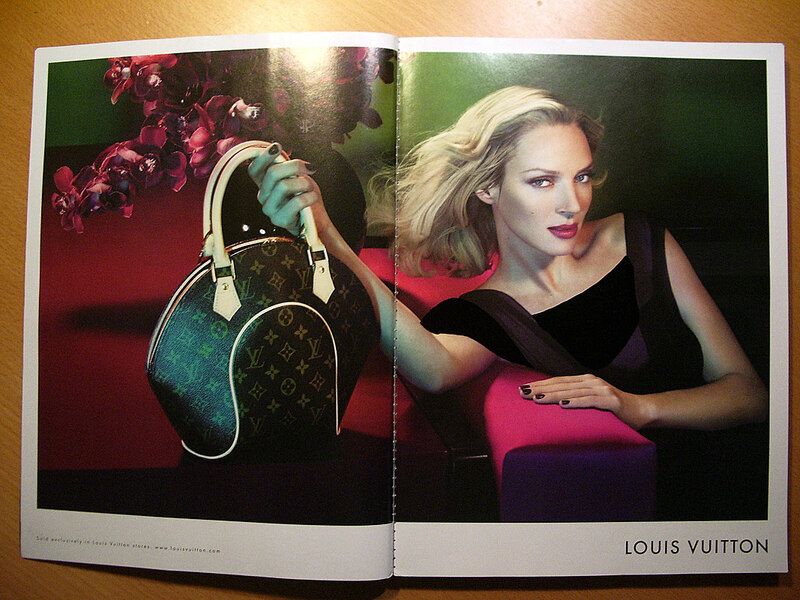 In fact, Louis Vuitton created an invite-only “salon”, located in an apartment above one of their stores in London. The best LV customers are invited to the salon, where a butler serves drinks, and at the same time, personal shoppers showcase select items. Inviting your customers to an invite-only event, where they can shop exclusively, and feel like VIPs will generate customer loyalty in a heartbeat. A personalized experience is what it takes to thank your clients for their business, and to maintain a great relationship with them afterwards. Everyone wants their five minutes of fame. You can give your customers their five minutes, just by incorporating their content, even in the form of testimonials, into your advertising. For example, Taco Bell created an ad for TV that featured several of photos of their Doritos Locos Taco via Instagram shares from their diners. Pro tip: make sure you have permission to do it first. Either invite customers to submit their content to you with clear license terms explaining how you’ll use their content or encourage them to license their content using a Creative Commons license that allows you to use their content for commercial purposes. So, next time you launch a new campaign, think about how you can thank your customers. There are multiple ways you can implement thanks and gratitude in your advertising, so there’s no excuse not to. Creating lasting customer relationships is the key to more engagement, more sales, and more activity of your brand. Thanksgiving is a holiday that compels us to bask in gratitude for every little thing. Why not start with your customers?